Creative Competitions, Inc., located in Gloucester City, New Jersey sponsors the program. CCI develops the problems and provides support materials and services to the licensed associations. CCI also hosts the annual World Finals. Sammy Micklus is the Program Director. The Odyssey program began is 1978 with 28 schools in New Jersey. Today there are more than 3,500 memberships in the United States and many foreign countries including Canada, Japan, China, Poland, Germany, Hungary, Hong Kong, Singapore, Slovakia, United Kingdom, Moldova, Australia, Lithuania, West Africa, Siberia and Kazakhstan. At the annual World Finals teams from around the world present their solutions to the same problems. Michigan has been involved since 1979. For further information on how Odyssey meets STEM, Common Core, and 21st Century Learning Skills, click here. Teams of up to seven members form to solve a long-term problem and develop skills in spontaneous problems. Teams are guided by a coach who must not be involved in anyway with the problem solution but may help the team logistically by providing practice locations, materials and instruction in techniques, not solutions. Teams compete in each problem against other teams in their division. Divisions are divided according to school grade. Teams meeting Regional Tournament criteria based on the number of teams competing in each division advance to the State Finals. Top teams and teams receiving the coveted Ranatra Fusca Creativity Award at the State Finals advance to the World Finals. What is CU in MI? Creativity Unlimited in Michigan, a non-profit educational organization, is licensed by CCI to present the program in Michigan. The organization is governed by a Board of Directors. It provides support for coaches, awareness sessions, coaches' and judges' trainings and sponsors Regional and State Tournaments. CU in MI offers post-secondary scholarships and is currently organizing an alumni group. Schools, clubs or community organizations become members by purchasing a world membership from Creative Competitions, Inc. for $135.00. The membership contact receives a membership packet containing the current year's problems, curriculum materials for teachers and the Program Guide. 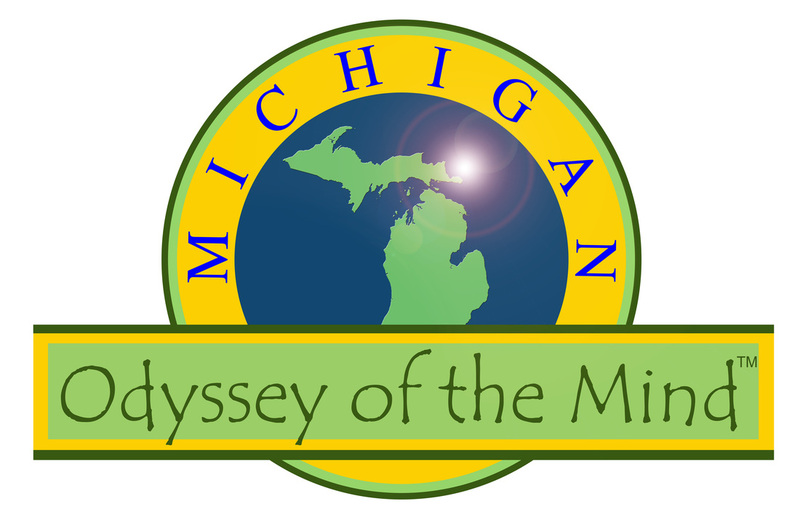 A $50.00 State Membership fee is required of each membership to participate in the Michigan Odyssey program. A membership allows a school to field one team per problem, per division. Depending on the size of the school this could include four to thirteen teams. Each team competing in a Regional Tournament pays a registration fee of $50.00. Click here to see the 2017-18 Problem Synopses. Click here for registration form. Credit card payments are accepted through the link below. Contact the state Ambassadors Director at ambassador@michiganodyssey.com for the information you need to get started! Additional information is available from the State Association Director Pamela Gombert at (616) 698-1964. Awareness presentations are available upon request.